The Inklingo Affiliate Program has exciting possibilities for you and your business. It's free. It may be necessary to make changes to the program from time to time. Changes will be posted on the web site. 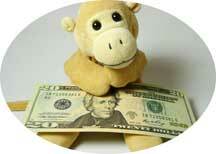 An Inklingo Affiliate is a shop, designer, or quilter who is rewarded for introducing new customers to Inklingo. The Inklingo Affiliate program is free. Web buttons, images, and links are provided, but it is not necessary to have a web site or blog to be an Inklingo Affiliate. Affiliates can add text and/or graphics to emails, a web site, a blog, Twitter, Facebook, etc. Affiliates can also promote Inklingo in person and earn credit for the sales. Click here for Tips for Inklingo Affiliates. Many Inklingo friends/freinds are already helping to spread the word about Inklingo, just because they love using Inklingo themselves. They deserve to be rewarded! This program is intended for quilters who use Inklingo. The Inklingo Affiliate Program is ideal for designers, because Inklingo is a tool which makes quilting easier and faster. Instead of (or in addition to) recommending a traditional quilting tool or template to complement a pattern, the Affiliate recommends the related Inklingo download. Inklingo has many advantages for designers compared to selling traditional tools. Affiliates do not have to pay in advance or hold inventory, like traditional tools. There is also no shipping cost, no credit card fee to process each order, and no handling required. An Inklingo Affiliate receives a Referral Fee for every sale made to quilters who buy from inklingo.com for the first time, plus any other Inklingo products they buy for the next 60 days! For example, you design a Storm At Sea Quilt and write a pattern, which you sell in your usual way. However, in addition to (or instead of) your traditional pattern instructions, you include information in the pattern for using the related downloadable Inklingo Shape Collection (custom page sizes, or notes similar to Monkey's Cheat Sheet). You can put the Inklingo logo on the packaging, if you wish, to promote sales. You receive a Referral Fee for any quilter who links from your site to buy the shape collection, or any other Inklingo books and downloads. If you have a design which uses shapes which are not inklingoable yet, let me know. New collections are being added every few weeks, and I do my best to keep up with requests. There is an Index of Shapes under the Support tab. It is updated every time new shapes are added. The Inklingo Affiliate program is ideal for shops too. In addition to providing a link on a web site, the shop can give coupons to quilters in person. This is especially effective if you host Inklingo demos or classes. Inklingo has many advantages for shops compared to selling traditional tools. Affiliates do not have to pay in advance or hold inventory, like traditional tools. There is also no shipping cost, no credit card fee to process each order, and no handling required. but not including postage, Quilted Diamonds books and CDs, Diana Boston's book or Millefiori Quilts books. If a quilter is referred to inklingo.com and orders anything (free or paid), if she is a new customer and an Affiliate Code is recorded (either manually or from a coded link), the Affiliate receives a Referral Fee on sales for the next 60 days, even if the quilter never enters the Affiliate Code again. If a quilter is referred to inklingo.com who is already a customer of Inklingo and already associated with another Affiliate, no credit is earned. You have a choice of two ways to receive payment. The Referral Fee you earn as an Inklingo Affiliate can be used on the Inklingo web site (no minimum) for any items, including Inklingo books and downloads, Quilted Diamonds, gift certificates, and postage. Wholesale customers may use the Referral Fee toward wholesale orders for Inklingo books-on-paper, Quilted Diamonds, and postage. NO MINIMUM Any amount can be used on the Inklingo site. Any Affiliate can choose to have the Referral Fee credited to her PayPal account 30 days after the end of the month in which the Referral Fee was earned. MINIMUM If the earned Referral Fee is less than $50, it will roll over until it is $50 or more. You will be notified by email when a Referral Fee is paid to your PayPal account. You can log in to your Affiliate profile any time to see your sales report. You can also log in to get new links or change your contact details. The Inklingo Affiliate Program has been designed to ensure that each Affiliate is properly credited for efforts to promote Inklingo. Clicking on a coded link from a web site, blog, email, etc. Each Affiliate has a unique code which can be embedded in links or entered manually by purchasers. When a quilter follows a link to inklingo.com, an HTTP cookie is stored on her computer, so whenever she returns to the Inklingo web site to purchase in the next 60 days, the Inklingo Affiliate gets a Referral Fee. Even if the quilter does not order anything on her first visit, if a cookie is stored on her computer, when she returns within 60 days and places an order, the Affilliate gets a Referral Fee automatically. required to identify who told them about Inklingo by name from a drop-down menu. For in-person demos in shops, quilt shows, classes, and guild meetings, an Affiliate may provide a coupon which includes the Affiliate Name. This is also effective for print ads. "Please tell Inklingo we sent you!" Once the association is made, the Affiliate earns the Referral Fee on all eligible purchases for the appropriate number of days, even if the quilter does not use the link, allow cookies, enter a code, or otherwise indicate an association. NOTE Affiliates do not receive a Referral Fee on purchases made by themselves or by other Affiliates, but Referral Fees may be used to pay for orders from inklingo.com (see below). If the customer is an Affiliate, or is already associated with another Affiliate, you do not earn a Referral Fee. Affiliates do not receive a Referral Fee on purchases made by themselves or by other Affiliates, but Referral Fees may be used to pay for orders from inklingo.com. If a customer is an Affiliate, or is already associated with another Affiliate, you do not earn a Referral Fee. If you wish to advertise additional discounts or incentives (free patterns, translations, any bonus, or discount on other merchandise), it is necessary to apply for permission. You may not use Spam or Spyware to promote Inklingo. Terms and conditions may change, including permitted promotional activities. If so, you will be given notice. All Affiliates are independent contractors and must not represent themselves otherwise, such as partners of Inklingo or Linda Franz, or create the impression that their site is inklingo.com. Linda Franz is not responsible for any loss or expense incurred in promoting Inklingo. Either party can cancel at any time with or without a reason. There is no fee for the Affiliate Program. It is free. Quilters will thank you for introducing them to the best new quilting tool in years, and you will be rewarded for your efforts. Permitted promotional activities include online articles, reviews, pictures of designs which use Inklingo shapes, Facebook messages, Twitter, YouTube video, tips, etc. If you have questions, or suggestions, or would like to apply, please let me know. I'm listening.